Sewage discharges into local waterbodies are occurring on a daily basis throughout the entire Black Warrior River watershed. If your home, business, or community is connected to a sanitary sewer system, then your toilet flushes end up flowing to a wastewater treatment plant (WWTP) or lagoon, where sewage is treated prior to being discharged into a local stream, river, or reservoir. If you are on a septic tank system, then your sewage is discharged into the ground. If you have a pipe going directly from your house to the lake, river, stream or creek, that is illegal (please seek a treatment option). 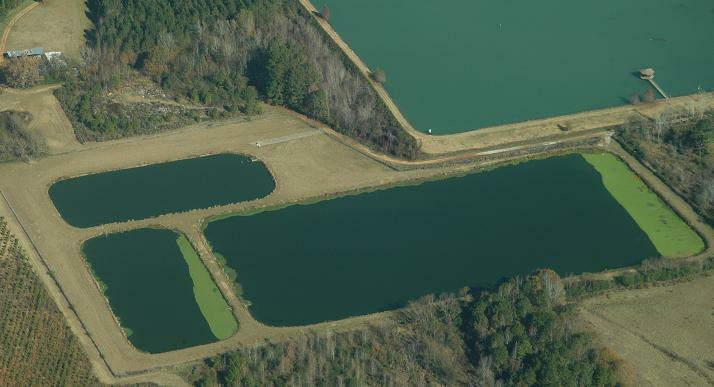 In order to discharge treated sewage, a wastewater treatment facility is required to obtain a National Pollutant Discharge Elimination System (NPDES) permit from the Alabama Department of Environmental Management (ADEM). Black Warrior Riverkeeper investigates permit compliance at WWTPsand lagoons throughout the watershed and has found many to be in violation of the federal Clean Water Act and the Alabama Water Pollution Control Act. Our findings show that improperly treated and raw sewage is being discharged or spilled into streams throughout the watershed. Unfortunately, wastewater treatment is not taken as seriously as it should be by many wastewater treatment facility operators, the communities they serve, or the agencies responsible for ensuring wastewater is treated properly. Improperly treated sewage is discharged from wastewater treatment facilities that are not running properly. Causes for this often include lack of sufficient revenue to fund operations, infiltration and inflow to the sewer system of significant amounts of rainwater through broken pipes, and contaminated discharges to the facility from nearby industries. In extreme circumstances, a bypass of raw sewage can occur directly from the facility; this is usually due to power failure, system malfunction, or facility flooding. Raw sewage can overflow out of manholes and collection pipes that feed sewage to wastewater treatment facilities. Oftentimes overflows occur when pipes are in a state of disrepair because they have not been adequately maintained. Overflows in many cases also occur due to grease blockages in sewer pipes(please do not dump grease down the drain!) When raw sewage is discharged into surface water it carries with it bacteria and pathogens that can be a threat to public health for years. Alabama’s NPDES permits require facilities to notify ADEM and the public in the event of a bypass or overflow of raw or partially treated sewage. However, we have found that this provision of the permits is almost never enforced, which means that citizens are left in the dark to unwittingly swim or fish in water that may be mixed with the contents of these spills. Unlike many complacent local and state authorities, we see this as a major public health threat that needs to be eradicated. When we find a facility that is violating its permit or having frequent bypass/overflow events, we encourage them to clean it up. If facility operators do not show a good faith effort in working with us to clean up their sewage issues then we may have to take legal action to ensure they will stop illegally polluting. In addition to reacting to permit violations and bypass/overflow events, we also take a proactive approach to the permitting process. We review every application for new or reissued permits for treatment facilities and advocate for stronger permits to be more protective of water quality when necessary.